You know I love Le Creuset right? I think it’s been on every birthday wish list I’ve ever posted on my blog. Well, I was devastated this weekend when my beautiful teal coloured whistling tea kettle broke. The plastic holder on the lid broke off completely, and then the lid fell apart… the whole nail thing on the inside was completely rusted. Now that was the first Le Creuset item that I ever got… and I’ve been using it for the last 3 years. It’s a very well used kettle! Anyhoo, I had a hectic weekend ahead and then I had a brain wave! I’d received an email from them telling about their sale. 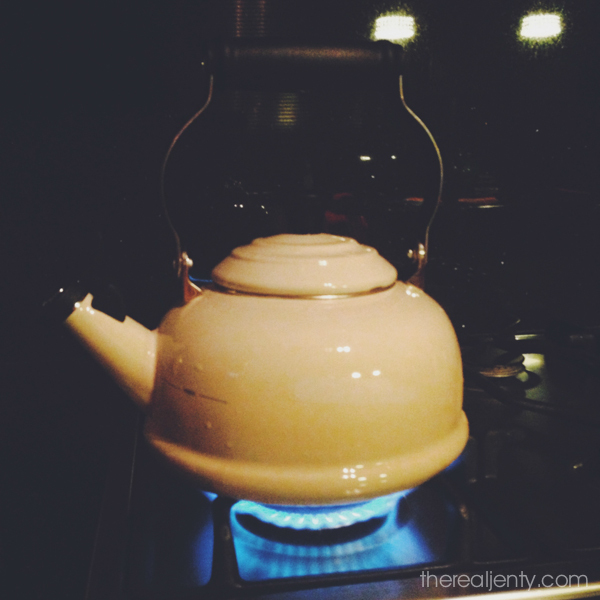 So I bought a new kettle… and a few mugs… and a new set of oven mitts! Online on Saturday night in my pyjamas! All on sale!! And they arrived today! I was a little worried about the colour, because the only colour on sale was Dune. I almost cancelled the order, because Dune in my mind sounds like a beigy-brown colour… but thought that I needed to save a bit of money so best I just stick to the sale colour. Well, I love it. Turns out, Dune is actually closer to cream than beige… and it fits into my kitchen beautifully. They are exceptionally clever though, and they included 3 booklets with my order. 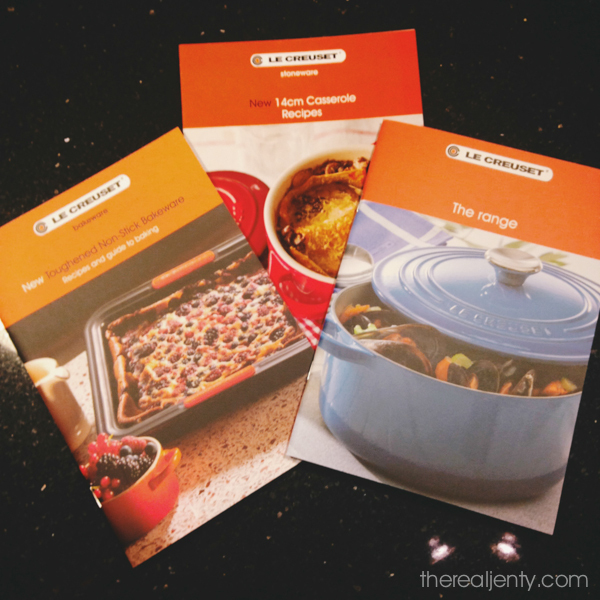 One showing the entire range, another about their non-stick bakeware, and then a pamphlet with recipes! So not fair! Now I want to buy more! Anyway, the moral of my blog post is… sign up for their newsletters so that you know about their sales! And their sale ends on 9 August! I actually noticed on their site, after I posted the blogpost that they have a 5 year guarantee! Not that I have the slip though… who keeps a slip for a kettle for 5 years?! I think that’s for their cast iron range only. I LOVE Le Creuset and have to stop myself from shopping online! I have a kettle too, but it has stopped whistling – perhaps I should try and exchange! LOVE the Dune range, it is stunning.